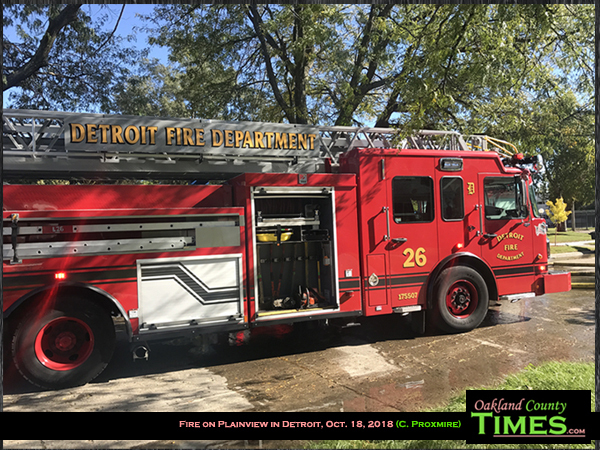 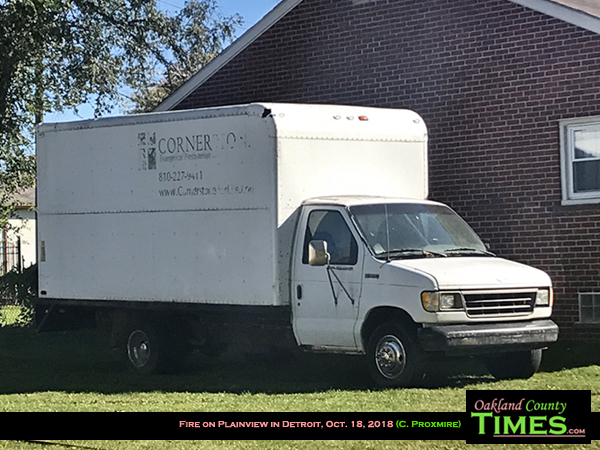 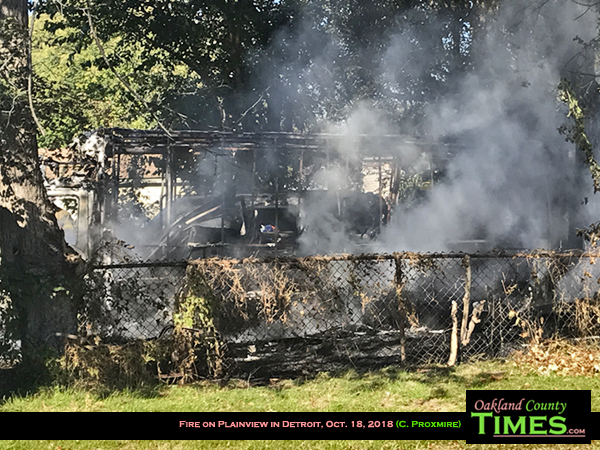 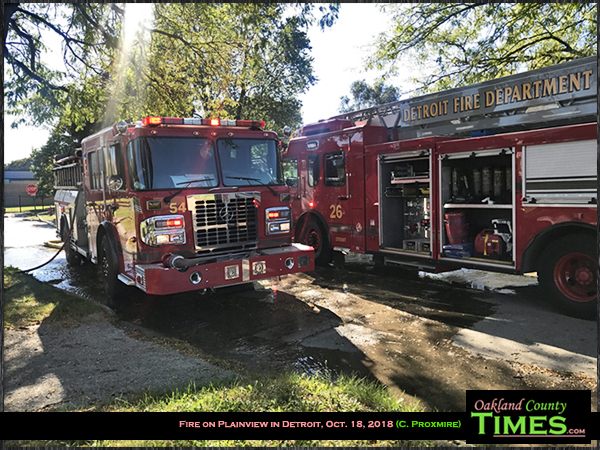 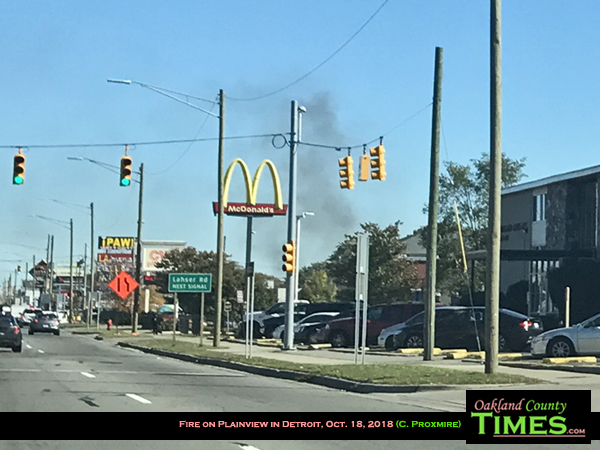 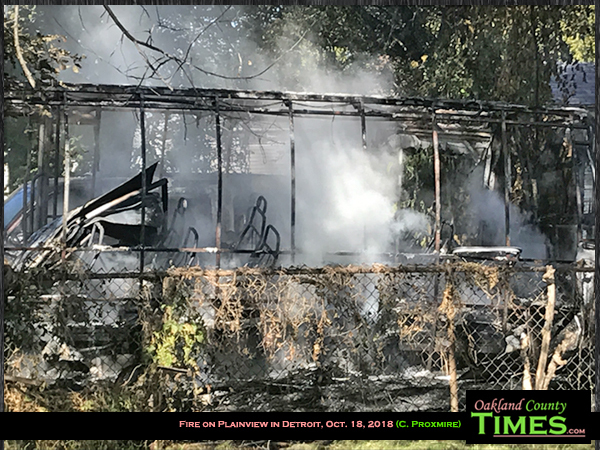 Detroit, MI- At about 2:30pm on Oct. 18 Detroit Firefighters responded to a fire on Plainview near Trojan, a neighborhood near 8 Mile and Evergreen. 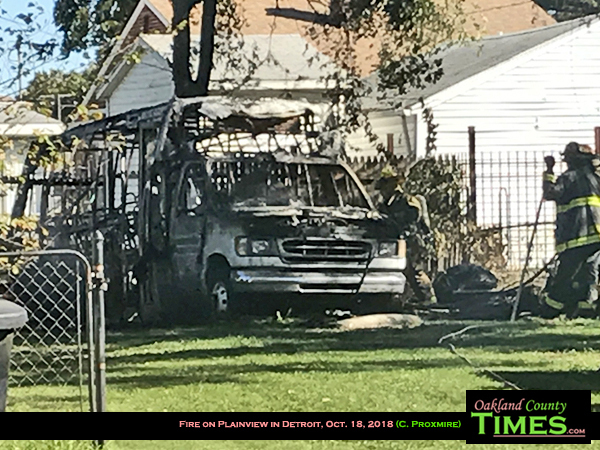 Two vehicles were in flames, a mini bus and a van. 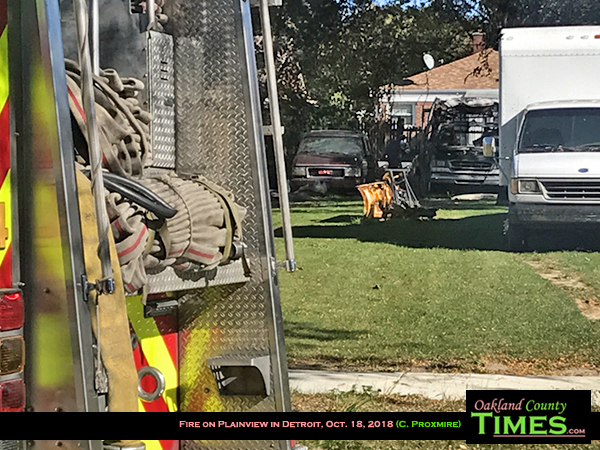 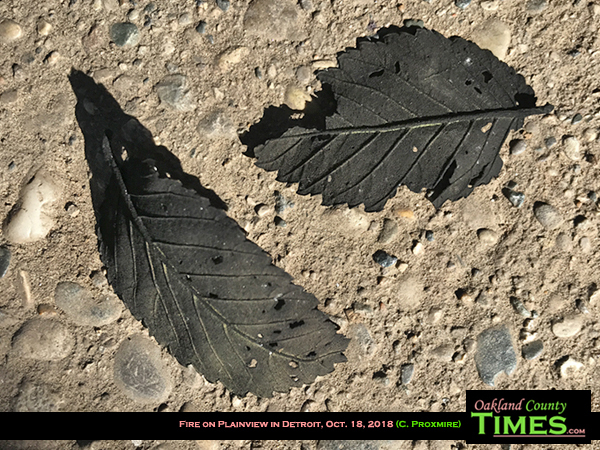 The vehicles were located on an empty lot between two houses. 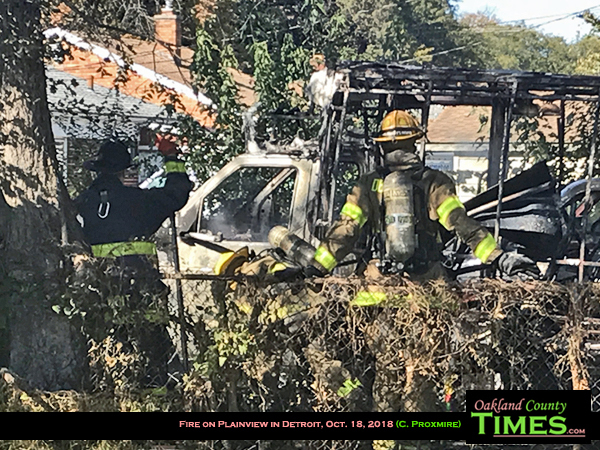 There were no injuries, however the vehicles were destroyed. 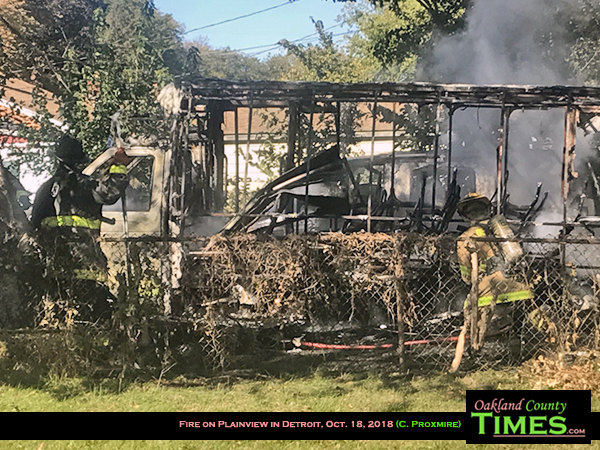 Flames damaged branches of the trees over vehicles, as well as cable and telephone lines. 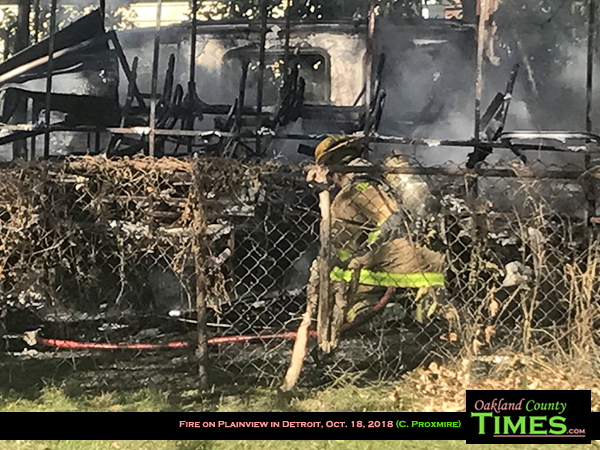 Firefighters on the scene could not comment on the cause of the fire.